New York City is a wild place with so much to explore. Volunteer service helps residents uncover new neighborhoods, make new friends, and learn about the issues that impact our community. 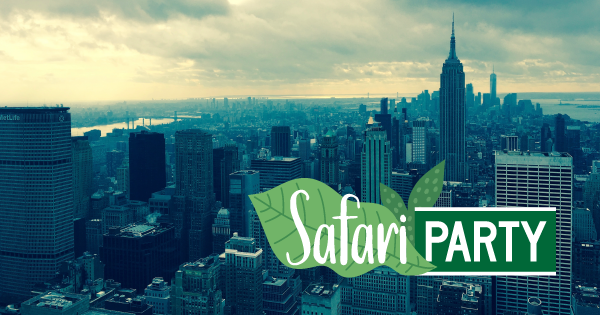 Join us Wednesday September 12th for a Safari Party celebrating the journey of service and the young leaders and philanthropists who make our work possible. Your ticket includes all food, select beer and wine, our signature cocktail, and an automatic raffle entry to win a mystery prize! Did we mention our friends at Sugarfina are providing a candy buffet? Sounds SWEET right?! All proceeds from this event go to further New York Cares mission and programming, so come have fun for a great cause! For in-kind donations and sponsorship opportunities, please reach out to Neal Brown, Development Manager via neal.brown@newyorkcares.org or 212.402.1127.